First, you need to get your head around the world of this book. There are the vampires – known as the Moroi. They are have royalty and are vulnerable to attack from the Strigoi – that is, fully dead vampires who are Moroi who have either been turned by another Strigoi or have killed someone, making themselves a Strigoi. 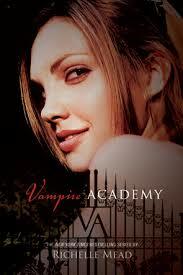 And then there are the Dhampir – non-vampires who are typically protectors of the Moroi. There are some humans, but they are generally food for the Moroi, so don’t worry about them. Rose is a Dhampir and guardian in training, but has escaped St Vladimir’s Academy with her best friend Moroi Princess Lissa and is living in the real world. At the start of this, the first book in the series, they are found and returned to the school. There are consequences. Then there are love interests, crushes and, typical to this style of fantasy YA fiction, the bad guy turns out to be someone unexpected. This book was recommended to me by a teenager, and I try to read as many of the books people recommend to me as possible. Because I love reading, and I like seeing what other people love to read. I was sort of expecting a Twilight type read, but this is much better – more likable characters, and I really like the world she’s created. It may be confronting for some readers to have teenager characters with sexuality and how far to go as part of their general life problems, but then again, read Forever by Judy Bloom. That was written in 1975.